The Social Democratic Front has called on sanctions to be meted out on officials who ordered for the arrest and torture of two of its parliamentarians yesterday. Two of the party’s bigwigs, Honourables Jean Michel Nintcheu and Joshua Osih were reportedly arrested yesterday around Douche Municpale in Akwa, Douala as they were about to stage a street protest which was initially banned by local authorities. “The Social Democratic Front vehemently condemns this act of barbarism carried out on these parliamentarians in total violation of their right to parliamentary immunity,” the SDF’s national Secretary for Communication Denis Nkemlemo said. 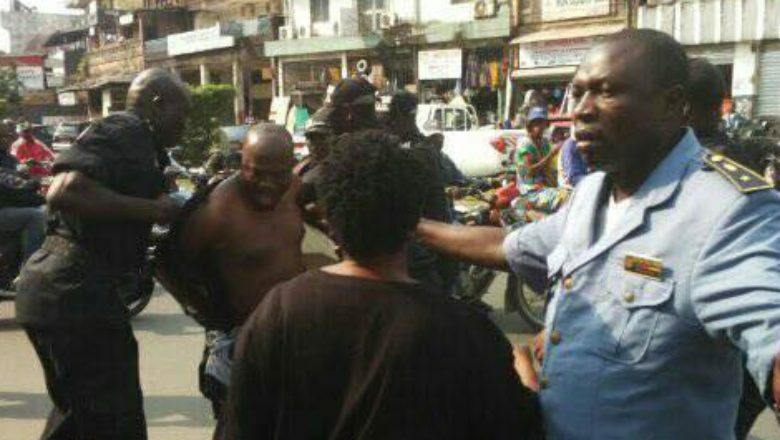 Wednesday’s incidents followed a a tense day in Douala where security forces were placed at strategic corners of the town to counter any protest attempts after the Divisional Officers for Douala I, II and V had issued a ban.